I first discovered the Psycards in 1988, and began writing my book the very first day I saw these wonderful cards. Order the complete Psycards (TM) System, the book or just the cards. 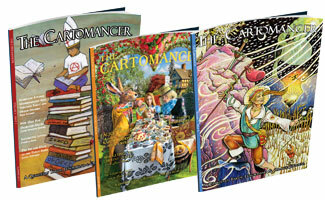 The Cartomancer: a magazine dedicated to using cards for prophetic and spiritual insight. Check out my Psycards column in each quarterly issue. Check out my article "Shakespeare's Herbs" in Witches & Pagans magazine. Acres USA-- Articles include: "Award-Winning Organic Dairy," "Pollen Bees: Nature’s Agents of Efficiency," "The Essence of Organic Wines," "Agri-Tourism Boosts Farm Income & Interest in Organic Farming," "Subscription Farm Changing the Landscape for Urban Food Buyers," "Carnival of Organic Diversity," "Using Raptors for Pest Control: The Barn Owl." BackHome--Articles include: "Adopt A Living Legend," "Sustainable Living: Apartment Style," "Get Out the Vinegar," "Natural Indoor Pest Control." Bartleby: A Scrivener's Tale, an excerpt from the autobiography of the eponymous character from Herman Melville's short story "Bartleby, the Scrivener." The Poetry Street Project--voices and visions from the street--is a literary and arts publication started in 2008 featuring creative works by writers and artists who have experienced homelessness. The journal is designed to give a voice to the voiceless and to demonstrate that very creative and talented people may be overrepresented among the homeless population. High creativity and high intelligence often correlate with higher incidences of mental illness and substance abuse. (We maintain that it is tough to be smart in a stupid world!) The next great American novelist or the next Andrew Wyeth or Ansel Adams may just be sleeping under a bridge near you. PSP was designed to offer a place to demonstrate hidden talents and skills and to offer hope to those who struggle against poverty and homelessness. ﻿My writing resume in .pdf.